A good mechanic can help to keep your car running longer and save you money on repairs. Use these tips to find a mechanic that you can trust to do right by you and your car. Do a little digging to figure out who services the big fleets in your area. Then, consider taking your business there. Not sure how to find out? Just ask a few drivers who their company uses. The Mechanics Files over on CarTalk is a great place to look for a mechanic recommendation or to check up on a mechanic that you're considering. It features reviews of over 30,000 mechanics! Even if you don't have AAA, choosing a shop from their Approved Auto Repair Network can be a great way to vet a mechanic. All participating shops must offer 12 month/12,000 mile warranties on all repairs, use ASE or manufacturer-certified technicians and pass an annual AAA inspection. When a mechanic is certified by the National Institute for Automotive Service Excellence (ASE), the manufacturer of the particular make of car that they work on or both, that's a pretty good indication that they know their stuff. Once you've narrowed it down to a few mechanics, do a quick search on the Better Business Bureau website to check up on their ratings and reviews. How many years have they been in business? How many years of experience do they have? Do they guarantee their work? What sort of warranties do they offer? Are all of their mechanics ASE-certified? What type of training do their mechanics have? What types of parts do they use: new, used, OEM, after-market? Can you provide your own parts? Are estimates free? Are there certain types of inspections that you'll have to pay for? Do they offer loaner cars or a free shuttle while your car is in the shop? Do they have different labor rates for different times/different types of work? What are their payment policies? The best time to find a mechanic is before anything major happens. 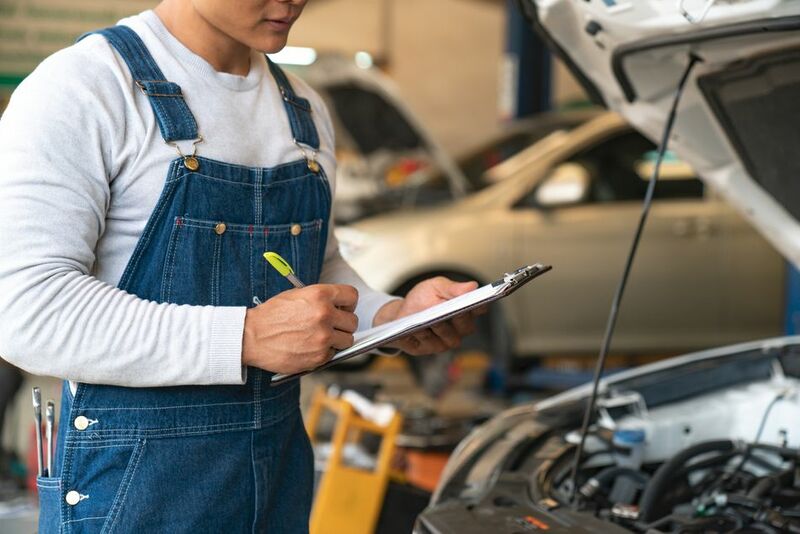 If your car is running smoothly now, use your next scheduled maintenance task–oil change, tire rotation, etc.–to test out a mechanic's skills and professionalism. Need to start the relationship with a major repair? Ask as many questions as you need to in order to feel comfortable, and make sure he shows you what's broken. A reputable mechanic should be willing to do whatever it takes to put you at ease and gain your confidence.